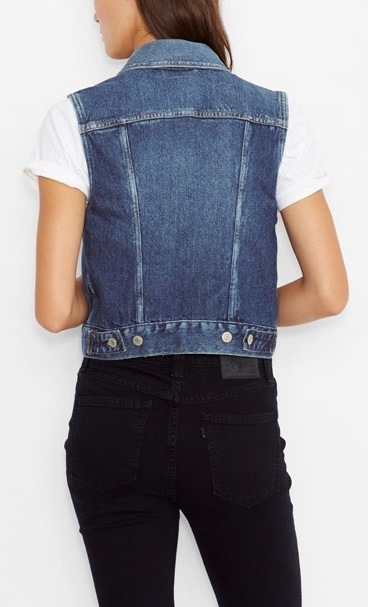 Levi's took their iconic denim jacket and turned it into a summer time vest. What do you think of this denim trucker jacket? Will this become a girls best friend? Or possibly her "vest friend". Adds instant edge to any outfit. 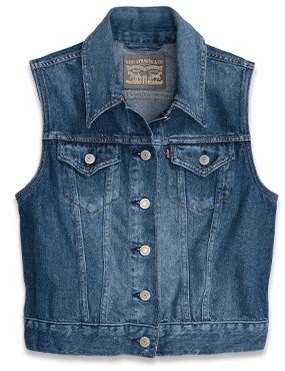 Learn more about the Levi's Trucker Vest at their website.